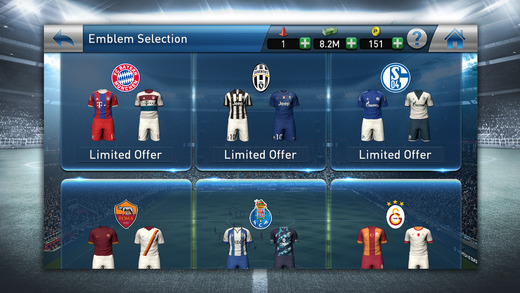 Konami have released a brand new free-to-play mobile game called PES Club Manager. Available on both Android and iOS, PES Club Manager makes full use of 3D elements using the Pro Evolution Soccer Console Game Engine that's used to power PES 2015. 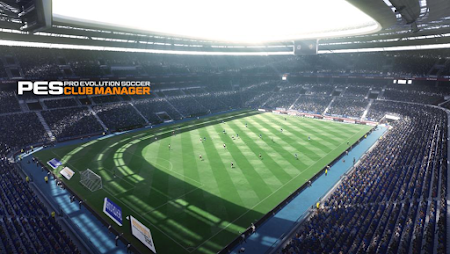 Launched in 18 localized versions - including UK English, German, Turkish and Chinese - PES Club Manager will see users attempt to 'create and develop a small club and turn them into world-beaters'. 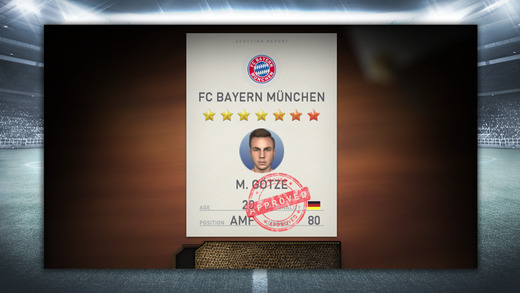 The game features over 5,000 licensed players, including PES 2015 cover star Mario Götze. Konami Digital Entertainment B.V. has announced the release of PES CLUB MANAGER – a football manager title for iOS and Android. The new game will make full use of 3D elements using the Pro Evolution Soccer Console Game Engine that powers the critically acclaimed PES 2015. PES CLUB MANAGER will be released in 18 localized versions, including UK English, French, Italian, German, Spanish, Portuguese, Russian, Turkish, Chinese, Swedish and LATAM dialects and is absolutely free to play. The basis of the game is to create and develop a small club and turn them into world-beaters. 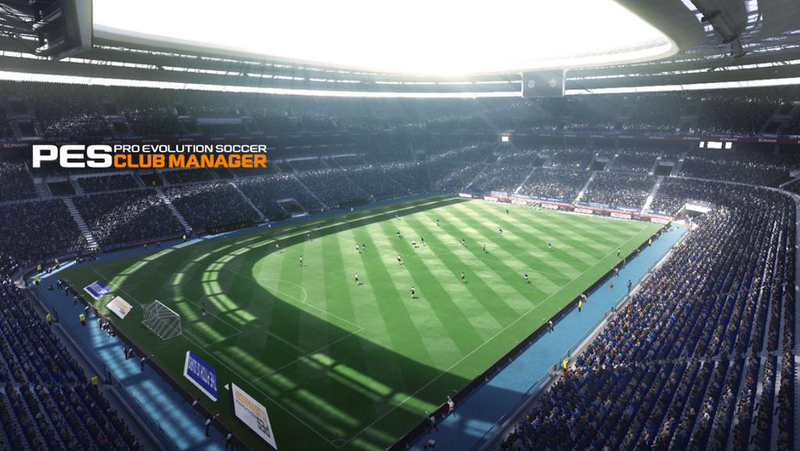 To this end, PES CLUB MANAGER tasks users to lead their team to the top and become the best club manager in the world! Over 5,000 licensed players will be available, which are used to assemble the strongest squad possible. The match day element of PES CLUB MANAGER recreates the drama of a top-level game. 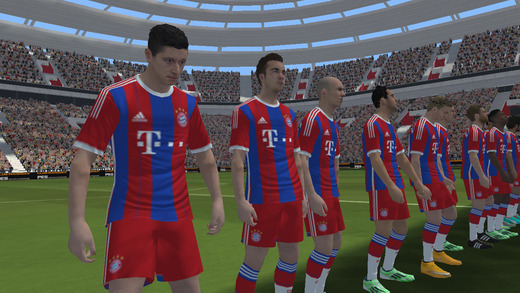 The stunning 3D elements that brought PES 2015 to vivid life have been fully utilized within the mobile game, representing a spectacular level of realism. Matches truly reflect the tactical systems implemented by the user, with the licensed players also instantly recognizable in how they move and play. A simple menu interface also allows users to make changes to tactics mid-match, with the on-field action instantly adapting to reflect the defensive or offensive push. All the licensed players in the game reflect their real-life counterparts and outline their playing style and key abilities. 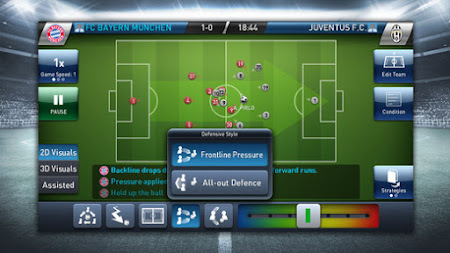 PES CLUB MANAGER features a unique “Player Management” system to help bolster the squad. Users can acquire new footballers through a transfer market where the highest bidder will get the player in a real-time auction. Through a scouting system, new talents can be spotted, and through the Youth Academy, users can continuously access upcoming stars as well. Players can then be developed individually by focusing on different skills, well-known from the Pro Evolution Soccer series to improve personal and team skills throughout the season, further enhancing the strength of the team. Lastly, PES CLUB MANAGER also includes a ‘My Home Town’ feature that allows users to customize and manage the surrounding town environment of your stadium. Upgrading your facilities, such as youth academies, club house and medical facilities, are key in strengthening your football team. Every facility will give different advantages (e.g. increase revenues, improve training conditions for players, and attract new up and coming talent). For even more information on PES Club Manager, visit the official site.